Follow the adventures of our not-so-heroic band of misfits in their travels around the world as they get themselves into (and out of) various kinds of mischievous and sometimes idiotic adventures. This is their first great adventure. It places our friends scattered all over the place and have not yet met each other. Our “hero” finds himself being pushed toward helping out his town, since everyone else has run away or is hiding. With nothing more than pure dumb luck at his side, he decides to accept the quest and heads out into the world ! This is a complete mini-adventure containing about 2 hours worth of game play and comes to a conclusion after fighting the “final boss” at the end. You can rush to the end and get there sooner, but will likely find the fight difficult if not around level 8+ by the time you get there. The adventure contains a single home town, forest and two interconnected caves. Each new map you visit introduces some new monsters, each being a bit tougher than the one’s prior. The forest and first cave maps each have 15 chests hidden within them giving you all kinds of free loot! The second cave contains a small puzzle to solve and then finally the “final boss”. You can find a Vendor and Inn within the town where you can buy supplies and rest any time needed. There is going to be an on-going story of 6 more additional chapters, taking you on adventures focused on each of our friends while they explore the world around them. Then, one “end game” chapter that will take them onto one final adventure wrapping up everything together. The next chapter “Dwarf and the Dynamite” is currently being planned and development for it will be starting very soon so stay tuned for updates! 6 playable characters with 6 more planned in the near future. Currently there are 10 levels of equipment, weapons, items, orbs and spells available to play and the planned cap will be level 50. 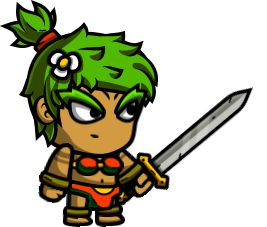 Currently there are 10 various types of monsters for you to defeat in the mini-adventure. (not including the 50 “little animals” wandering around the world map). There is planned to be over 70 different monsters in total. Currently there are 20 different spells available with tons more planned out. Currently each character has one special attack available at level 4. There are many more being planned out for additional levels. Defensive options can be used during combat also. Some characters also have custom one’s. Quest journal allowing you to keep track of where you’ve been and where to go next. Random and Strategic monster encounters. Random monsters “spawn” on the map near by you allowing you to choose if you wish to engage them or simply ignore. You can also make encounters immediately go into battle instead through the game options. Mana regeneration. It will regenerate at a rate based upon remaining Mana; the lower your remaining Mana, the slower it will regenerate. So, if you don’t manage it properly, you might have to wait for it to regenerate over several turns! You are able to save the game anytime you’re not in combat; allowing you to play as little or as long as you wish and pick up exactly where you left off. Multiple profiles. Shared computer/device? You don’t have to worry about that “other person” using your save file by accident; give them their own profile separate from your own. Customized “quick access” window that allows you to set up any of your favorite items (potions etc) for easier access to them. This helps you spending time looking through your pack for these over and over again. Multiple adventure support will allow us to create as many mini/main/side adventures as we want in the future. Currently you are able to use our small “save service” to allow you to share game files across multiple devices. Scottish for “Fair-haired hero”. 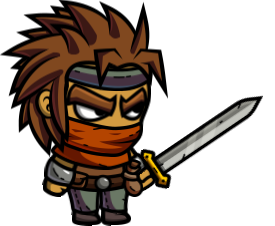 Our main character in the game has no significant background and has pretty much spent his entire life aimlessly wandering around from tavern to tavern pretty much accomplishing nothing. Old English for “Brave Spear Woman”. Nobody is entirely sure where she came from. 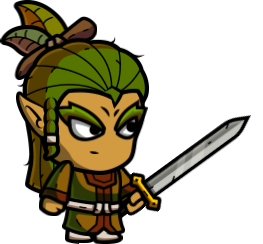 One day she just showed up in town for a competition and amazed everyone with her combat skills; she was immediately offered a job in guard duty and hasn’t left since. She dreams of big things in her life other than just being a simple guard grunt though and is always looking for something else to do instead. She doesn’t talk a lot, but when she does, you’d better listen! Italian for “arrow”. Fezza has spent many years learning the fine art of archery and has become quite good at her trade. She prefers to live among animals in the forest and isn’t a huge fan of large cities. There are only a few people she would call a true friend, but will do anything in her power to help them when in need. Basque for “Enchantment”. While very early in her development as a mage, Lilura is a quick study and really likes it when she can fine new shiny magical things to play with. She is good friends with Frezza going back many years and too prefers the more solitude life away from larger cities. Latin for “Hairless” or “Bald”. Born with a full head of hair, which his parents were never able to keep control, he was named ironically after his bald great-great-uncle. He was raised to be a free spirit and always speaks his mind, even if it means peeving someone off. Unfortunately, due to unknown events, he was left with nothing but hit wits and attitude to carry him through life; resulting in his life as a bandit. Gaelic for “Strength”. He’s Dwarf, enough said!?! 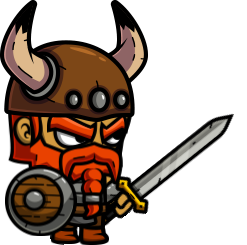 Grumpy and very strong willed, Gus has spent most of his life focused on combat training, exploring caves and obtaining as much loot as he can. He’s not an overly great conversationalist, but tries his best when required. Gus isn’t a big fan of free-spirited people though, then tend to annoy him! 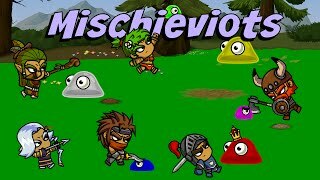 Mischieviots is a hobbyist Turn-Based 2D RPG project I’ve been working on for over two years. The majority of that time was spent building the “engine” for it and has been written to allow future adventures to be created without too much additional coding effort and potentially allow for future player modding. In the last few months I turned focus onto making this first mini-adventure to show off all the major parts of the engine. 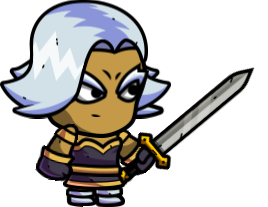 It is written in Java using LibGDX and will be made available on Desktop, Android and iOS devices. Also, don’t skip out on checking out our Gallery or our demo videos ! April 10, 2015: My first year of development. April 23, 2016: My second year of development. April 10, 2017: My third year of development.